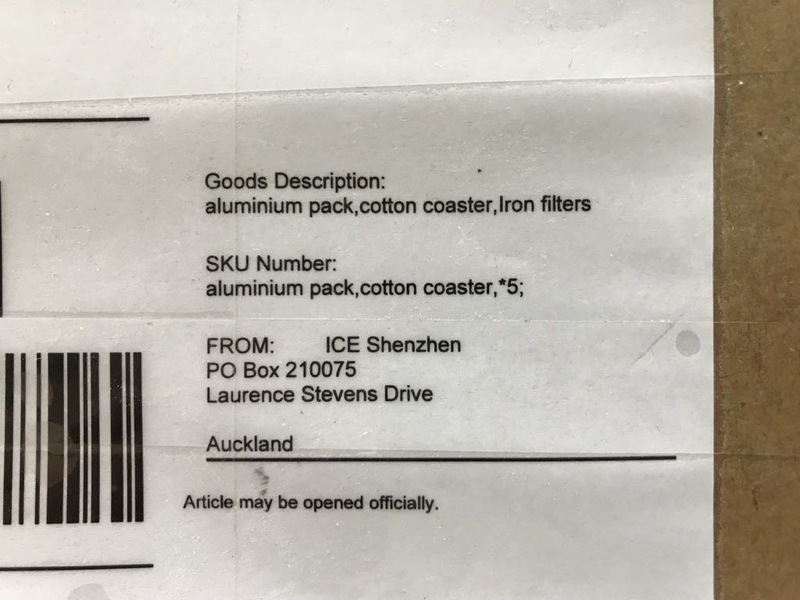 This package arrived in the mail today and the Contents Description had me stumped: “aluminium pack, cotton coaster, Iron filters”. What the heck! 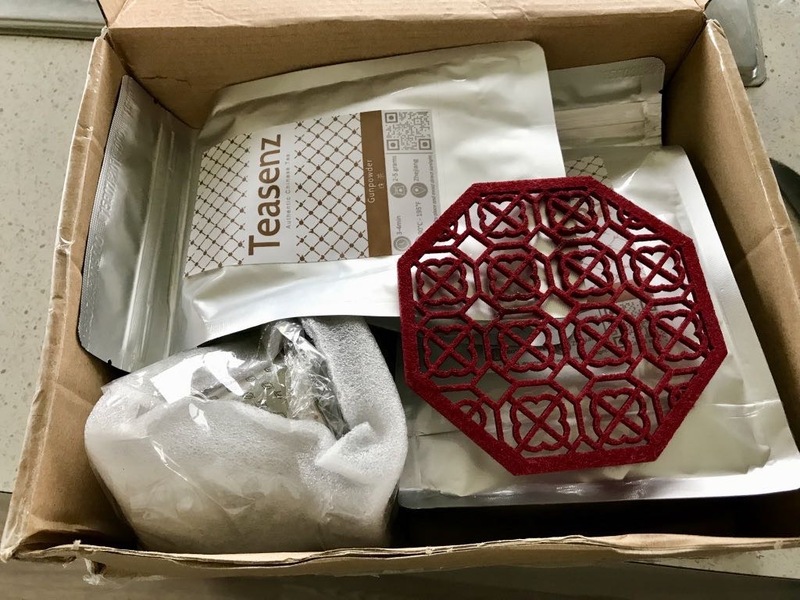 Turns out it was the green and white teas I’d ordered, with tea sieve and free coaster. Whew.